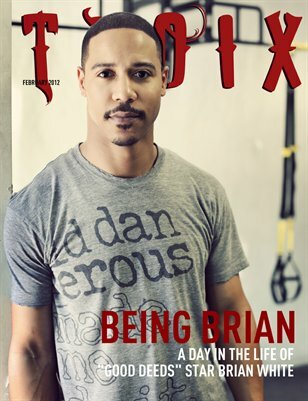 A unique look in this exclusive access to a day in the life of actor Brian White. TROIX tagged along w/ Brian on his typical Saturday (we even got to meet his adorable pup, Milo!) Be sure to checkout Brian in the Tyler Perry film "GOOD DEEDS" out in theaters February 24th! TROIAN BELLISARIO "My First Kiss"
TROIX MAGAZINE • 2010-2012: BRIAN WHITE "A Day In A Life"